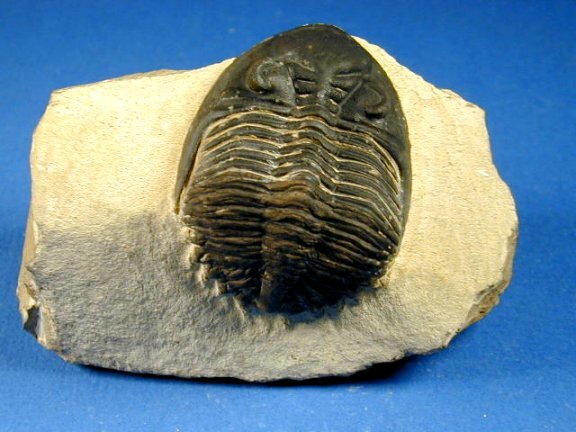 Some of the most elegant trilobites come from the Devonian strata of Morocco. 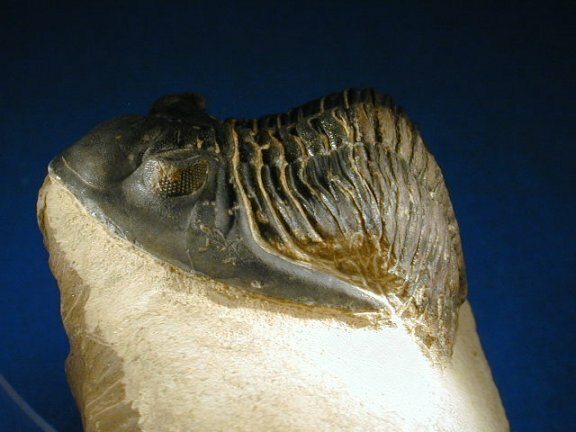 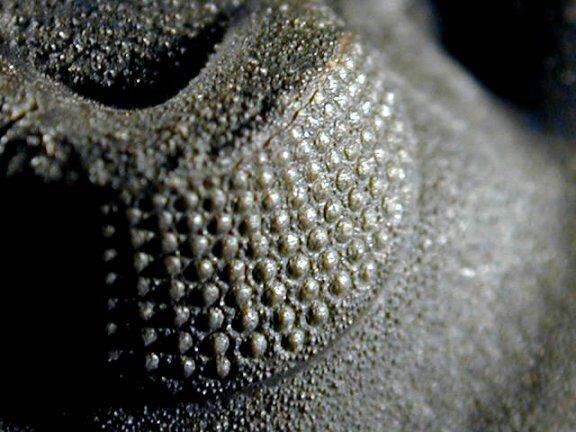 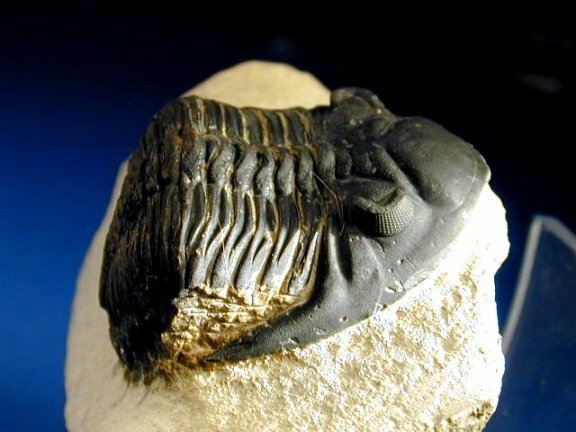 And, in recent years availability of modern pneumatic and air abrasive equipment have enabled fine preparation of trilobites that come from extremely hard limestone, and were formerly and still sometimes prepped, literally, with hammer and nail. 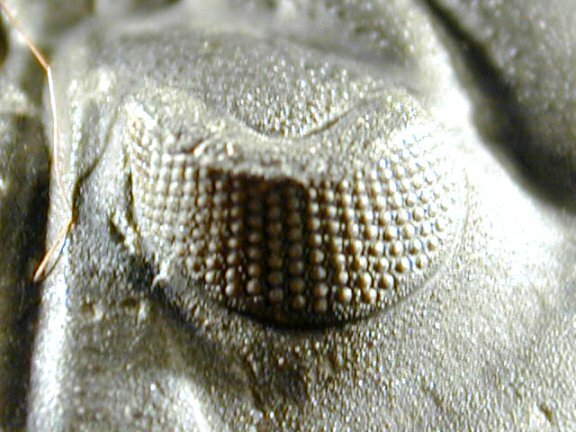 This Hollardops merocristata (formerly Metacanthina barrandei) from near Tafilalt, Morocco has been laboratory-prepared with the new modern equipment. 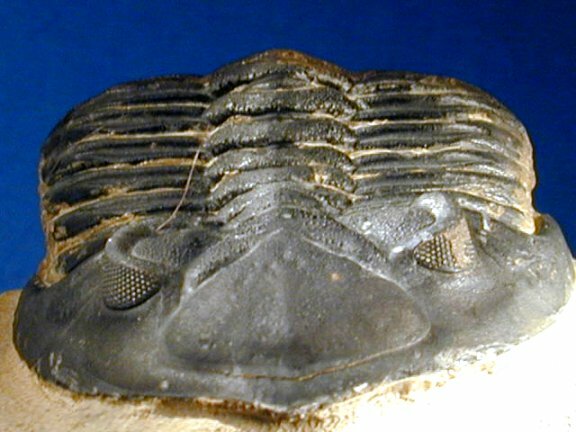 This classic Devonian trilobite exhibits detailed articulation and inflated three-dimensionality. 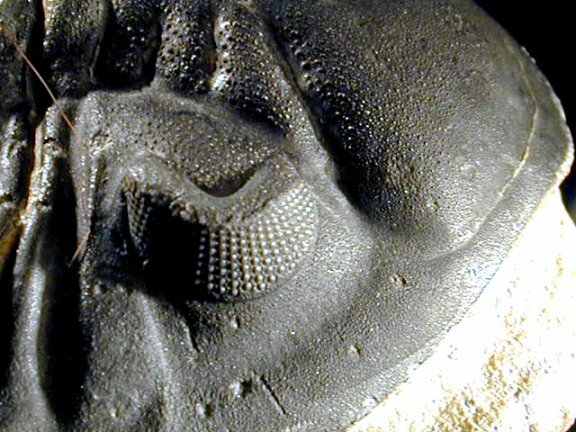 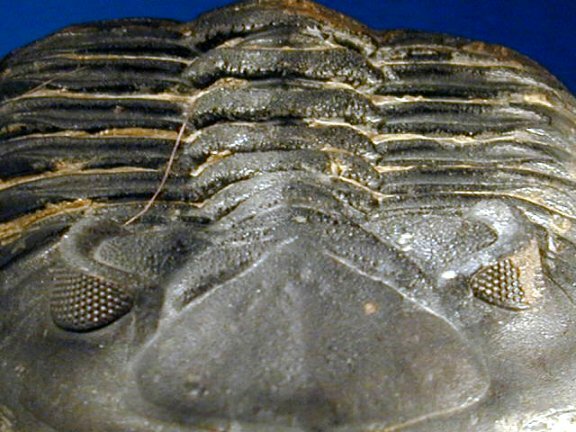 A member of trilobite Order Phacopida, this trilobite shares the distinction of schizochroal eyes only with other members of the Order. 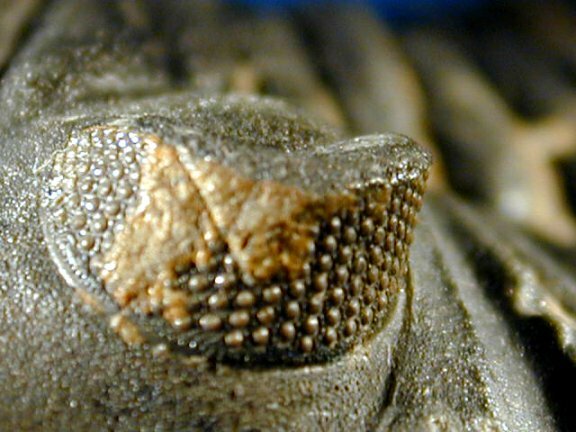 The pictures show the fine facet preservation in the eyes of this specimen.